It didn't come as a surprise as it's been years already in the making, but it became official on Tuesday. Philadelphia will play host to Major League Baseball's All-Star Game in 2026 as part of the 250th anniversary of the signing of the Declaration of Independence. The announcement came as MLB Commissioner Rob Manfred, Pennsylvania governor Tom Wolf, and Philadelphia mayor Jim Kenney had Independence Hall as a backdrop. Other attendees at the announcement included manager Gabe Kapler, players Bryce Harper, Andrew McCutchen, Odubel Herrera and Aaron Nola, and Hall of Famer Mike Schmidt. 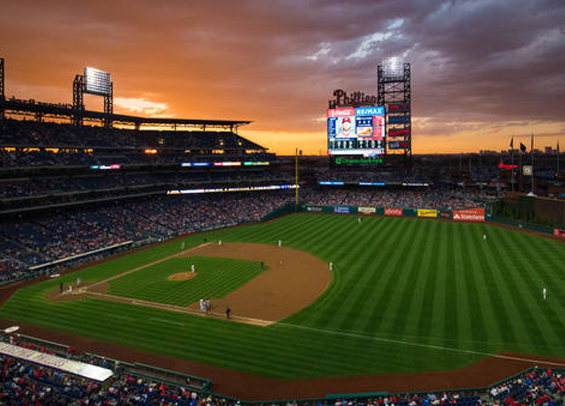 The 2026 All-Star Game – which will be Baseball’s 97th Midsummer Classic – will mark the fifth time that the City of Philadelphia will host the event, including the first ever at Citizens Bank Park. Shibe Park staged the Midsummer Classic in 1943 (hosted by the Philadelphia Athletics) and 1952. In addition to 1976, Veterans Stadium was the site of the All-Star Game again in 1996. The Phillies purposely wanted to hold off on hosting an All-Star Game when Citizens Bank Park opened in 2004. Chairman David Montgomery has long targeted 2026 - also known as the United States Semiquincentenial - as the year to play host.